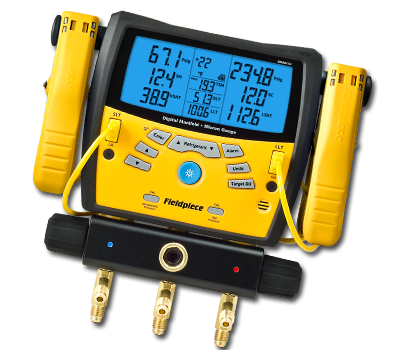 The SMAN360 automatically calculates target superheat, so HVACR professionals don't have to worry about guesswork or manual calculations. WIth the SMAN360 you also get a built-in vacuum gauge with resolution from 50 to 9,999 micron. Plus the vacuum gauge in the SMAN360 digital refrigerant manifold has a micron alarm which allows technicians to set the alarm to a chosen micron level, and when the vacuum reaches that level, the alarm will sound - Job Done! In addition the SMAN series are the only manifolds with the ability to perform a linear adjustment of the pressure sensors based on refrigerant type, temperature, and pressure, and it's so easy, you can do it on the JOB!